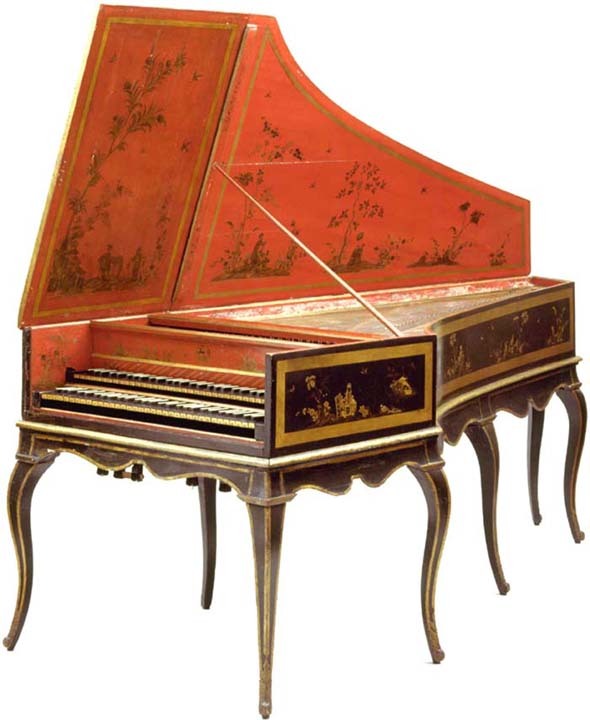 This harpsichord is said to be one of the finest sounding harpsichords in the world. Indeed it is one of the most beautiful instruments both in its decoration and in its musical qualities. Unfortunately the information available no longer includes the detailed descriptions and measurements which were available previously.